FC Barcelona Lassa earned a much need Euroleague victory on Friday evening when they broke a run of three straight defeats with a win against Panathinaikos in a very special game at the Palau Blaugrana. It marked the return of Xavi Pascual to the arena, and he entered to a hearty round of applause before a game that also saw guard Alex Renfroe make his first team debut (6 points and 2 assists in 18 minutes). It’s no cliché, with the new format there really are no easy games in this competition, and this was an impressive win against one of Europe’s top sides, with the defence being the true key, especially when the Greeks went half of the third period without scoring. The battle between Tomic and Singleton was the highlight of the first period. They took ten points each and the period also ended matched at 19-19. 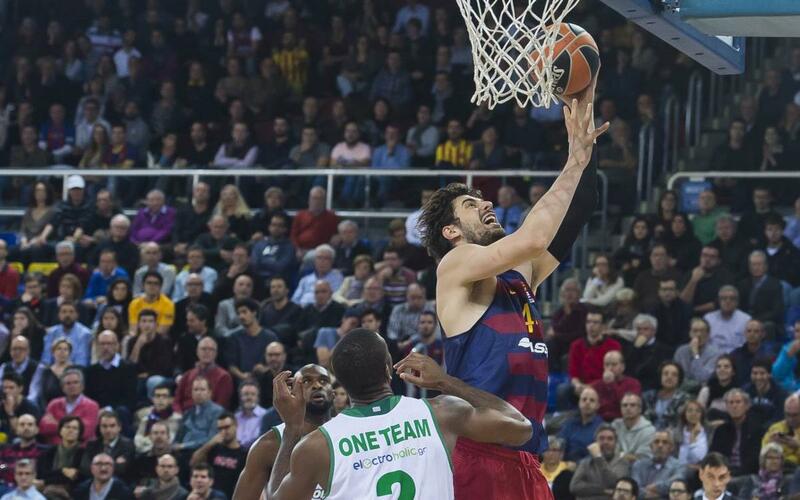 Barça surged in the second period, limiting Panathinaikos to just 12 points and stretching the lead to 33-25 before the half-time buzzer sounded with the score at 36-31. With Tomic and Singleton raking up fouls, the protagonism was more evenly spread as the game progressed, but neither side was exactly scoring with ease. Barça did manage to amass 21 in the third period, but the visitors took a measly nine. The FCB defence was doing its job. Oleson and Rice came into their own from the 3-point line and the Palau was on its feet by the time it was 55-40. The wind was blowing Barça’s way and Panathinaikos simply couldn’t work out how to score against that gale. The home side went into the final period with all the confidence in the world but although a Feldeine three got the gap back down to single figures at 66-57, Barça were unperturbed. A dunk from Renfroe, two frees from Koponen and a field goal from Vezenkov and it was game over. Both sides are now 5-5 in what is proving to be a fascinatingly tight competition.